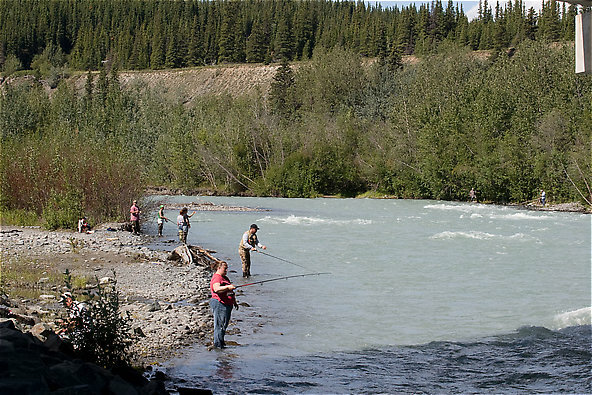 The lack of access on this large river makes combat fishing the norm for anyone who hasn't planned ahead and got a permit from the native tribe controlling the land above the river. It's a choice between this and trespassing. I fished for about 20 minutes before I got tired of it and headed to a different stream.